The Board of Directors has approved the closing of the accounts corresponding to the 2017/18 season. The final result of this year reflects a record income in the history of the Club of 914 million euros, with an expense of 882 million euros. The operating profit was 32 million euros, while the net profit was 13 million euros after taxes. EBITDA was set at 177 million euros. The Board has valued the final balance of the year positively, and it's in line with the Strategic Plan of the Club to reach 1,000 million euros of income in 2021. As is traditional, the Club will present the details of the year end figures, as well as the new budget, before the next Members' General Assembly. The Board of Directors expresses its congratulations to Samuel Umititi and Ousmane Dembélé, for having been proclaimed world champions with the French national team; Ivan Rakitic, for being a finalist with Croatia, and Thomas Vermaelen for being ranked third with Belgium. The Vice President responsible for the marketing and communication area of ​​the Club, Manel Arroyo, has informed the Board of Directors of his decision to cease his duties, for professional reasons, with immediate effect. FC Barcelona wishes to emphasise and appreciate the extraordinary work carried out by Manel Arroyo over the last eight years. During this period, the Club has experienced very important growth, including doubling its annual revenue figure. This goal has been achieved thanks, especially, to its internationalisation, the generation of new resources in the commercial field, as well as the new management of audiovisual rights of the LFP, which Manel Arroyo has led from the Board of Directors. Now the date of the Joan Gamper Trophy has been confirmed, the Board of Directors can also confirm that the World Penyes Congress will be held on August 14 and 15 in Barcelona. In addition, the Board approved the registration of six new penyes in Catalonia, Spain, Europe, and South America. They are the Penya Barça Liege in Belgium; the Penya Blaugrana in Budapest, in Hungary; the Penya Barcelonista de Bonastre, in Tarragona; the Penya Blaugrana Vandebarça, from Vandellós, in Tarragona; the Peña Barcelonista Abrucena, in Almeria; and the Peña Barcelonista de Rosario, in Argentina. With the addition of these supporters clubs, FC Barcelona now has a total of 1,251, of which 623 are located in Catalonia and the Catalan Countries; 519 in the rest of Spain, and 119 in the rest of the world. The Board wishes to express to Joan Vilà its gratitude for the work that he has developed during his entire career at the Club, after the end of his contract as a member of the Club Methodology Area. His contribution has been very important in defining the formative model of La Masia, and turning it into a benchmark of excellence at the international level. The Board wishes you luck and success in your new professional stage. 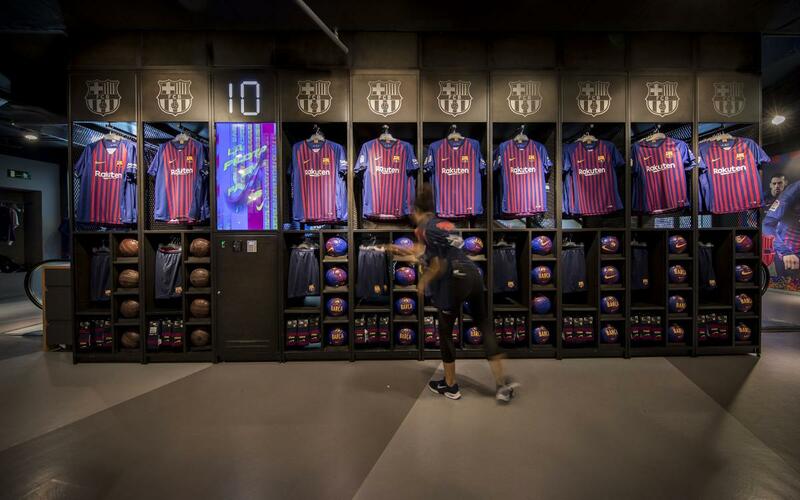 Paco Seirul·lo, who has worked with Joan Vilà in recent years, will continue to develop his work, focusing on the evolution and continuous improvement of the FC Barcelona model of play at the Team Sport Area of the Barça Innovation Hub project. The Board of Directors wishes to express, on behalf of the Club, its recognition to the journalist and broadcaster Joaquim Maria Puyal, as a result of his decision to bring an end to his broadcasts of Barça matches, work that he has conducted so professionally over the past 50 years. FC Barcelona wishes to publicly express its gratitude to Joaquim Maria Puyal for his contribution to publicising the sporting and institutional significance of the Club and to normalising the Catalan language. His radio broadcasts will always be a reference point for many generations of Barça fans.